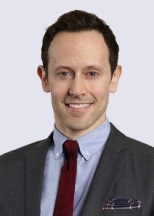 Gregory is the Leader of Honigman's Life Sciences Intellectual Property Litigation practice group. He holds a Ph.D. in Organic Chemistry from Northwestern University. Gregory focuses on pharmaceutical and biotechnology patent litigation, including trial proceedings before the U.S. Patent and Trademark Office (USPTO). He has extensive experience representing clients in Hatch-Waxman litigation. He was also part of a team of attorneys who represented a pharmaceutical company in the first-ever successful defense of an Orange Book-listed patent in an IPR review. In addition, Gregory is a registered patent attorney and has experience in patent strategy and due diligence work. He has been quoted in the media and writes and lectures widely on patent issues, Hatch-Waxman litigation, and the PTAB.